Vibrant, picturesque and welcoming. 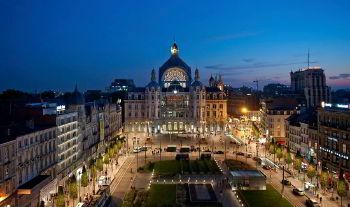 Antwerp will remain in your memory long after leaving the city. Even if you are accompanied by several kids, your spouse and the family of your friend, you will manage to explore it in case of choosing the right route. Start the journey with Antwerp Zoo for a wonderful beginning (your kids will approve this, be certain). If you are an art lover yet think your kids will be bored in museums, you are wrong! Both you and they will adore visiting Steen Castle, MoMu-Fashion Museum in Antwerp, Paleis op de Meir, Poorterswoning, Rockox House. End each day of your stay with a delicious meal in 't Zilte, Sombat Thai Cuisine, The Chocolate Box, Cafematic, The Jane. If you are heading to Antwerp with your kids and spouse and need a reliable means of transportation you will definitely need a premium-level of rental service. Believe us, this city is a fantastic destination for traveling! 8Rental has been operating in the sphere of passenger transportation for so many years, that it has already got a good reputation. Customers from all over Europe rely on 8Rental unconditionally knowing well all their expectations will be exceeded! Be sure, applying to our service once, you will turn to us later. 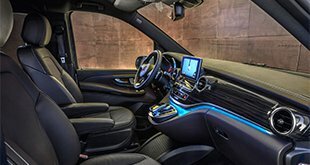 If you need to rent a minivan with a driver in Antwerp for driving comfortably with your whole family, you need to get a quote. It won't take you more than a couple of minutes to get it and fill it out. You will be required to state journey and transport details including the trip type (single, hourly, return or specified), pick up and drop off addresses, the number of passengers. 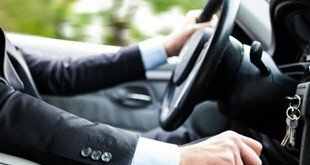 Other information we request from every client includes the vehicle type, model, and class, the language your driver should master (English, French German, Russian, Italian speaking drivers are available). In case you have any additional requirements, feel free to state them. Once all this information is stated, just input your contacts and make the payment through the safe payment system. Depending on the number of passengers that will be driving in the minivan, you can book a proper model. Mercedes Viano is a standard minibus designed to accommodate only up to eight people. This model is a budget one, hence won't cost you much. It's equipped with such amenities of primary necessity as air conditioning, air suspension, audio system, armrests, seat belts and reading lights. The vehicle is in good condition and looks quite elegant. However, if they're more than eight of you traveling in the city, you'd better stop your choice on Mercedes Sprinter to hire a chauffeur driven minibus in Antwerp. This model will drive up to twenty-four passengers in complete comfort. The vehicle has such premier specs as central heating and air conditioning, convenient seats, and armrests, curtains and carpeted floors, and a series of other amenities you are sure to take for granted. Whichever minivan you select, be sure it will be driven by an expert driver. Believe us, it will be better both for you and your entire family to entrust the driving to a skillful chauffeur. You won't have to worry about the right direction, about finding a parking place whenever you want to enter a restaurant or stop to admire a place of interest. Leave that to our licensed and experienced drivers, and enjoy every minute in this magnificent city! They are credible, professional and responsible! By hiring a minivan from 8Rental, you will be provided with free fuel and insurance. 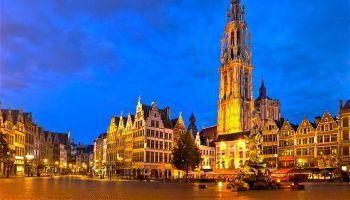 No matter how long you plan to travel to Antwerp, all other fees and taxes are also included in the offer!